Hello, crafty friends! I'm so honored to see you in the Altenew A Year In Review Blog Hop today as a big fan of Altenew. If you are from amazing Barb's blog, you are on the right track. I also added full blog hop list in the bottom of this post and please check it out if you need to. Plus, I'd like to share 4 more projects and each links to original post. I hope you enjoy these creations as much as I do. A wide range of Altenew product line always made me so happy! 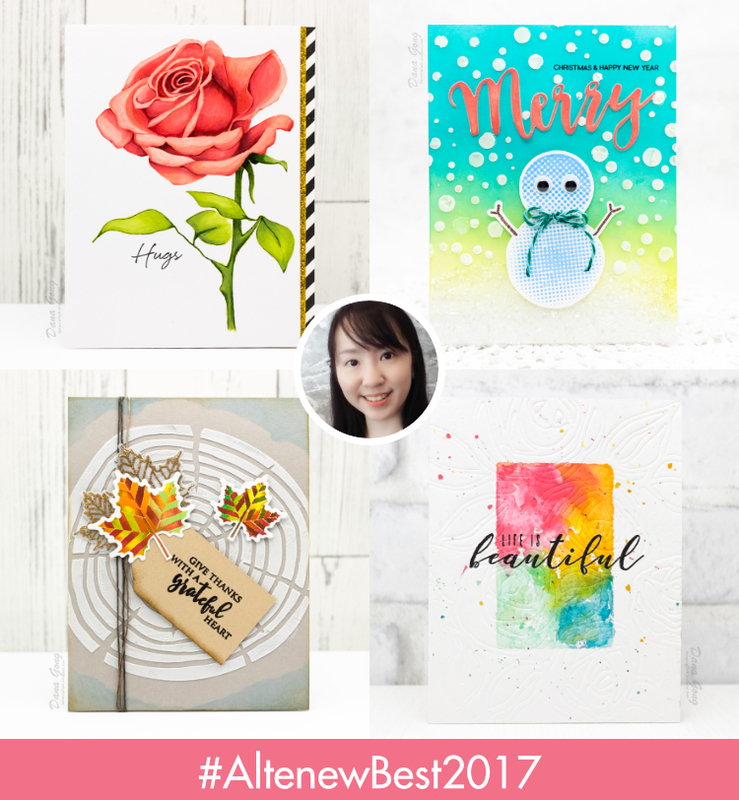 I can't wait to see your own #AltenewBest2017 ! Don't be shy to share your owns in the social media. Oh, don't miss your chance to win in following 2 giveaways! I draw a winner who will receive a $20 gift certificate. Lucky winner will be announced on 01/05/2018. 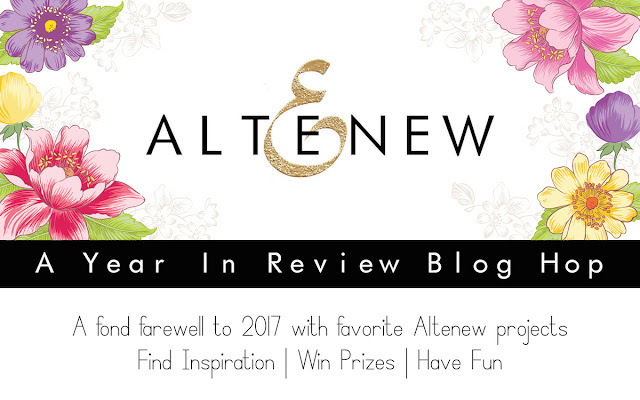 Be sure to check out 'Altenew' category in my blog at that time. Your next stop is Emily Leiphart 's blog. Happy hopping, everyone! Dana Gong <- Your are here! Your navy gift card was stunning. Thank you for sharing and Happy Holiday. Each of your lovely pieces are quite unique. Great use of the wonderful Altenew products! Love your cards... it's so inspiring to read your blog! Fabulous samples for Altenew. Thanks for sharing your creative ideas. Beautiful cards, love the metallics. Beautiful cards! You really show how to bring out the beauty of these sets! I think the navy card might be my favorite, but it's so hard to choose one because there are so many beautiful details in each one! all such lovely cards, Dana - the navy adore you card and envelope! Beautiful works of art! So beautiful! So much fun! Thanks for the inspiration! Ohhh...I can see why you made the "Best" list. Your cards are lovely. Enjoying all the year in review projects! Beautiful cards! Love that clever snowman! 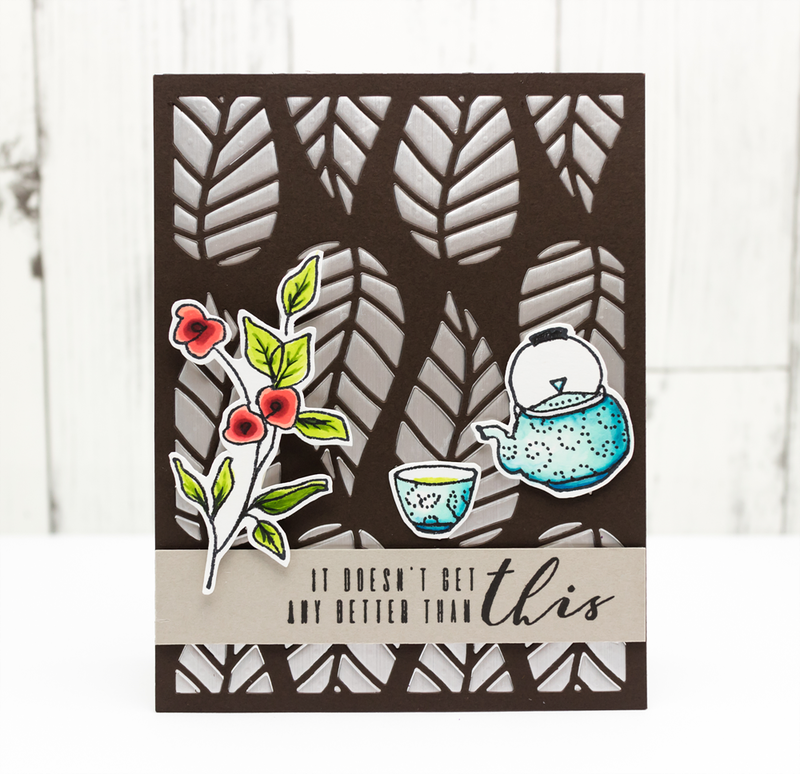 I love your card with the Layered Floral Cover Dies. Lovely! Your snowman card make me smile! Your navy card and envelope are gorgeous! Beautiful cards. Can’t wait to see what is is store for 2018. Gorgeous! I especially love that red and navy combination. Thanks so much for sharing all your beautiful cards. It's great to find more wonderful inspiration. It was hard enough to look at just the first 4, then you had to add more! You have quite a range there. Love them all! Thank you. Love these. All your cards are beautiful! Your designs are so unique! Beautiful cards! Merry Christmas and a Happy New Year! You have so many beautiful designs here, thanks for sharing! Hi Dana! Really enjoyed seeing your work. Your cards are so beautiful! Well all your cards are beautiful, but that very first rose card is just stunning!! 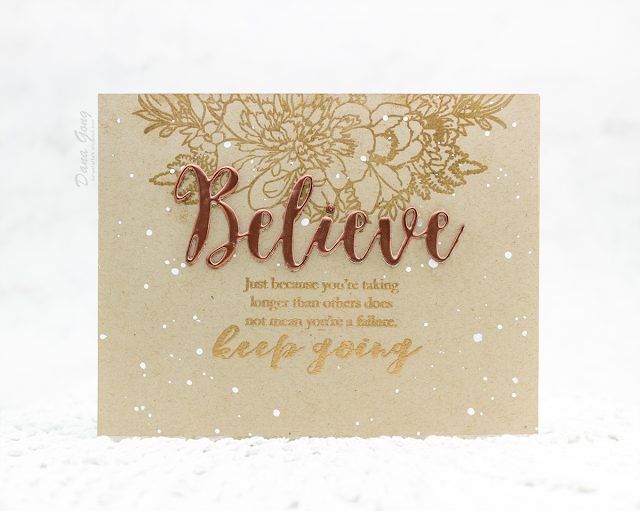 Absolutely WONDERFUL cards, I love your inspiration! I especially love the Adore You card, great design! Amazing samples of your beautiful work! Love the embossed panel that lifts open. Such cute uses for the Altenew images! I like! wow your work is beautiful!! Dana, great card designs - my favourite being the little snowman! He/she made me giggle. I am in awe of your talent, as I am a new crafter. Beautiful cards. My favorites are the last two. They are absolutely gorgeous! Great cards (the rose was particularly stunning)! I absolutely LOVE that Life is Beautiful card.....it is gorgeous the way you highlighted the greeting and kept the background detailed and simple. Every one of your cards incorporates something different & beautiful. Great way to showcase the year in review. Happy New Year! Can I just sit here all day gazing at the gorgeous white, blue, gold and red card? It is absolutely breathtaking and I am having trouble taking my eyes off it! TFS! That merry card with the snowman is super cute. So many lovely cards! That first one with the layered dies is my favorite, gorgeous! Wonderful cards! The rose on your Hugs card is gorgeous! My favourite is your money pouch, the navy, red and white with the fancy folds and glorious golden embossing is a STUNNER - LOVE IT ALL! 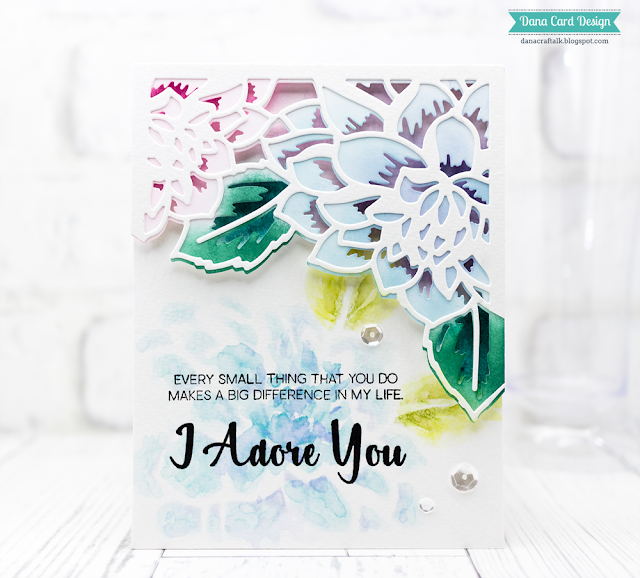 Love the card using the "adore you" set. have to make one of these cards. thanks for sharing with us this year. Your cards are beautiful. I LOVE the full rose. I love the money card, what a beautiful way to present a gift card or money. Thanks for sharing your lovely cards during the year. Happy New Year. All your cards are so lovely ! Your blue and gold card is so beautiful and elegant. I love the kraft Believe card.